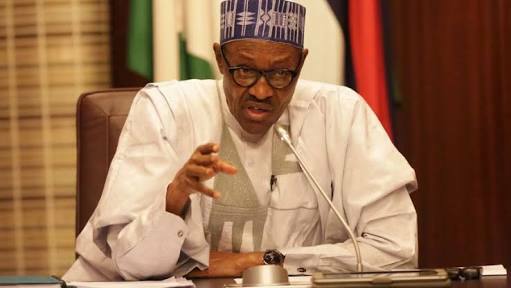 President Muhammadu Buhari yesterday declared that all who defected from the All Progressives Congress (APC) to other political parties were selfish, weak and corrupt people that could not align with the vision of his administration. He made the remarks while accepting the expression of interest and nomination form donated by a group, the Nigerian Consolidation Ambassadors Network (NCAN), at the Presidential Villa, Abuja. “I am honoured today to receive youths from all over the country contributing to buy the form for me,” Buhari said, as he received the N45 million document. “The corrupt, the selfish have left APC. Today, I am pleased to say the weakest among us, those whose selfish expectations did not align with our patriotic zeal, have exited out party. We are now a party of strong and patriotic individuals who are ready, willing and able to continue on this journey of building a secure, self-sufficient and corruption-free Nigeria,” he added. The president listed some achievements of his administration as the completion of rail projects and construction of new ones; support for farmers; rehabilitation of fertiliser plants; the introduction of the Treasury Single Account (TSA), which he claimed had curbed looting in the public service; provision of jobs; and cash aid to vulnerable Nigerians. Earlier, the deputy chairman of the NCAN board of trustees, Chukwuemeka Nwajiuba, said the group purchased the form based on its conviction that the president had performed outstandingly in reviving the economy and combating graft and terrorism. “We Don’t Need To Give Signal To Mimiko. Undoubtedly, we will produce the next governor of Ondo State – Akeredolu.